You’ve had those days, I have too… we all have. Those days when all you need is some delicious, dark, and decadent chocolate. Know what I’m talking about? 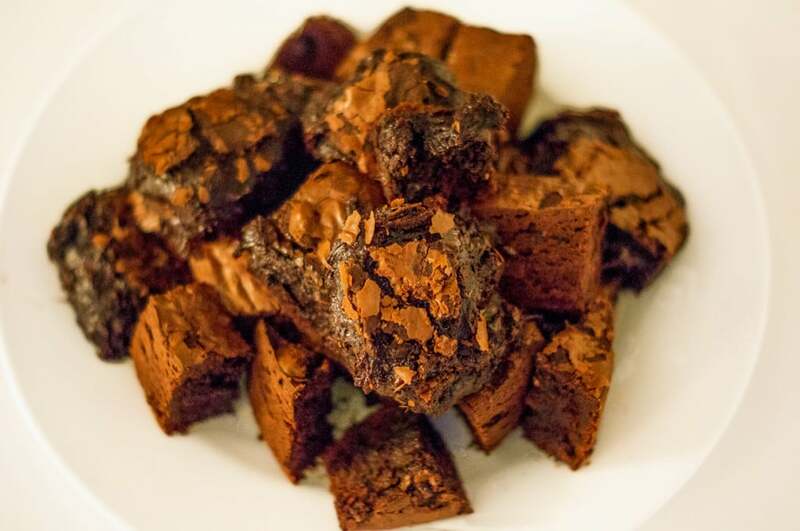 These brownies are for you. 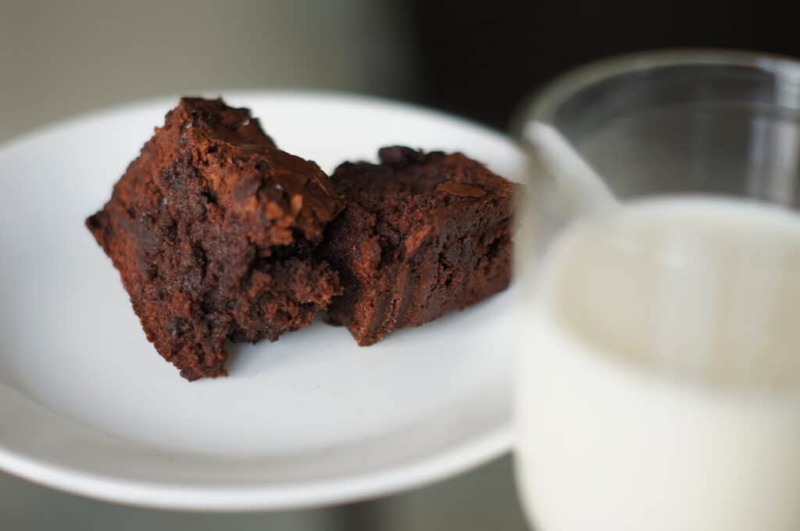 Let’s face it, pre-mixes and store-bought brownies aren’t bad… okay, they’re not terrible. But there’s always something missing. 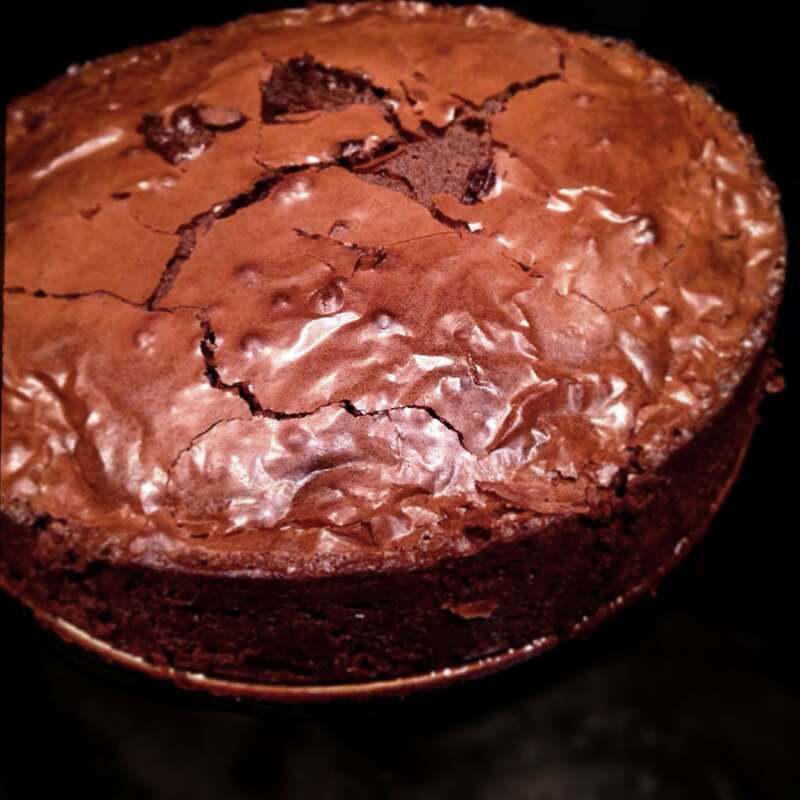 Either the top of the brownie doesn’t crackle and flake just right, the chocolate isn’t rich enough… or, worst-case scenario – the taste and feel is a lot more reminiscent of that dry slice of cake nobody wants to finish, rather than the dark, decadent bites of chocolate perfection they were meant to be. Well, no more! I’ve experimented with different combinations (some good, some disastrous! ), and I’m confident that once you’ve tried this, you won’t ever look for another recipe. And the best thing about it? It’s easy. And you won’t see me use the word ‘healthy’ even once (←Okay, once!). Pre-heat your oven to 350 degrees F. Grease your baking pan (I used an 8-inch cake tin lined with parchment paper). Melt one cup of chocolate chips with the butter and espresso powder in a bowl over a bain-marie, keeping the heat low, and stirring occasionally. You want to form a smooth ganache. Turn off the heat, add the sugar and whisk until completely combined. Remove the bowl from the bain-marie. In a separate bowl, whisk the flour, salt, and cocoa powder together. 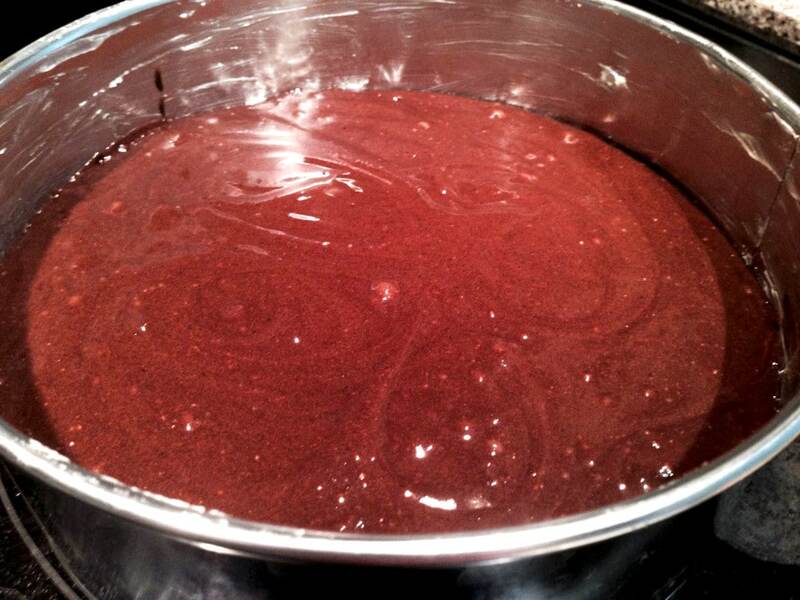 Add the eggs, one by one, to the chocolate mixture, whisking vigorously until combined. Add the flour mixture, vanilla extract, and baking soda; stir it into your mixture. Be careful not to over mix, you want a bit of the flour mixture to remain visible. Gently fold in the remaining chocolate chips. Pour the batter into your prepared baking pan. Tap the bottom of the pan on a hard surface a few times to get rid of any unwanted pockets of air that may have formed. Bake for 20-25 minutes or until a wooden toothpick inserted in the centre comes out with no more than a few moist crumbs sticking to it. Cool on a wire rack, and then cut into squares. I usually get around 24 small squares. 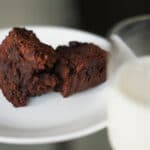 An easy recipe for delicious Chocolate Chip Brownies! Perfect for Chocolate Lovers! Pre-heat your oven to 350 degrees F. Grease your baking pan. Melt one cup of chocolate chips with the butter and espresso powder in a bowl over a bain-marie, keeping the heat low, and stirring occasionally. You want to form a smooth ganache. Turn off the heat, add the sugar and whisk until completely combined. 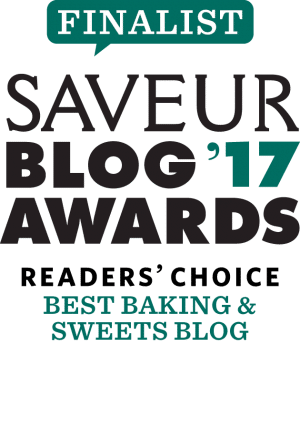 Remove the bowl from the bain-marie. Add the eggs, one by one, to the chocolate mixture, whisking vigorously until combined. Add the flour mixture, vanilla extract, and baking soda; stir it into your mixture. Gently fold in the remaining chocolate chips. Pour the batter into your prepared baking pan. Bake for 20-25 minutes or until a wooden toothpick inserted in the centre comes out with no more than a few moist crumbs sticking to it. Cool on a wire rack, and then cut into squares. I just found your page and already can’t wait to try SO many things!!! They look great!